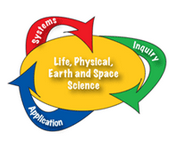 OSPI recently posted the new 2013 Science Assessment Updates for grades 5 and 8 (Biology EOC coming soon). These assessment updates contain released items, rubrics, sample student work PLUS a sample Field Study scenario with items. This should provide some clarity regarding: What is a field study? and How do I teach and assess field studies? The Biology EOC version is also available now on the OSPI Science Assessment website.